Perhaps one of the biggest changes to the infrastructure of the village since 1916 is this particular building. It was the site of the second Royal Irish Constabulary police barracks in 1916. Prior to this the RIC barracks was located in Galtee Beag further east on Main Street. We know from the 1911 census that the property was divided into 20.1 (barracks) and 20.2 (sergeants accommodation).There was a sergeant and four constables stationed in the barracks in the 1910s. Because of the political unrest in the country at that time, only the initials of the individuals are listed on special census form H which was the one used for recording the residents / occupants of police barracks and military installations. If you examine the household forms for some of the adjacent houses, for example house number 16, it is signed by the head of the household Thomas McGan Const. with a note – ‘Head of family returned on form H’. The barracks was badly damaged during the War of Independence. The current building was built by James Quain circa 1939 (after he built Toibín’s shop) and was a grocery and hardware shop and traded successfully until closing in circa 1992. 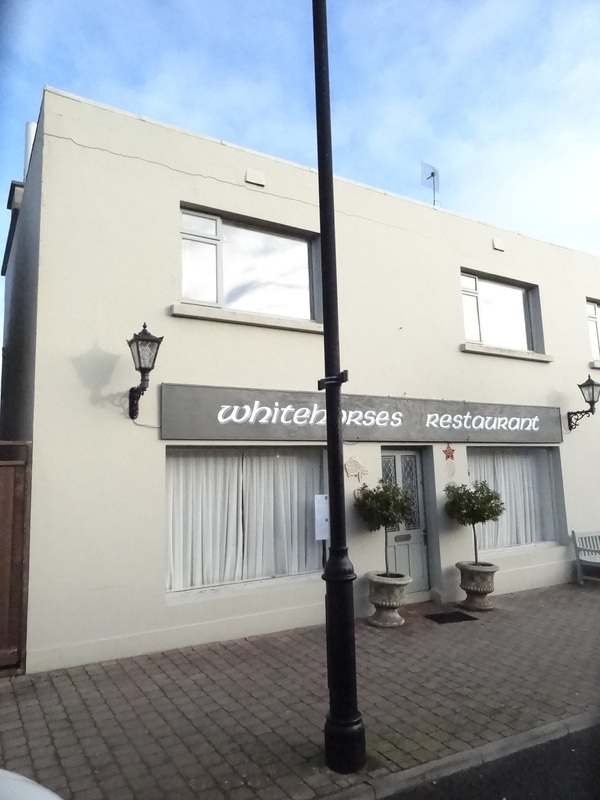 It was acquired by Joe and Christine Power in 1993 and opened as the Whitehorses restaurant in 1995.The sergeant in residence in 1911 was Sgt Corcoran and he was earlier preceded by Sgt Hassett. Sgt Hassett was grandfather to Declan, Terry, Jim, Paddy, Michael & Mary Hassett (Fitzgerald) and great grand father to Des & Ann Fitzgerald and Fergal and Eamon Keane.